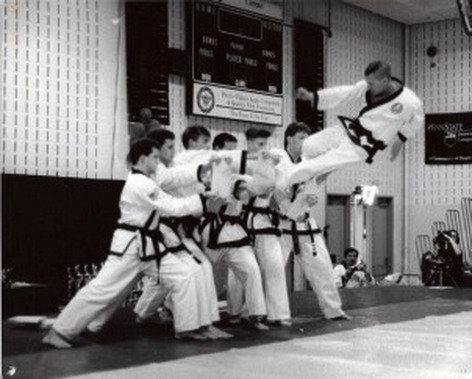 Master Brian Matys is Head Instructor at Amkor Karate Institutes in Collegeville, Pennsylvania and presently holds the rank of 7th Degree Black Belt. Beginning his training under Master Scott in 1984, Master Matys served as an assistant instructor at the Amkor Headquarters in Aston for ten years. Master Matys is known for his dynamic jump kicking technique and is one of the top breaking demonstrators in the Delaware Valley. He appeared on Comcast SportsNet at the 11th America Cup Karate Championships in 1997, which was held at the First Union Center. As one of Amkor's most accomplished National and International competitors, Master Matys brings a wealth of technical and competitive experience to the students at Amkor Collegeville. Representing the United States in Athens, Greece in 1993, Master Matys was the Gold medalist in Forms at the 5th International Tang Soo Do Championships. He successfully defended his title at the 6th International Tang Soo Do Championships in Philadelphia, Pennsylvania with a Gold medal in Forms and a Bronze medal in Fighting. When Master Scott served as a consultant to the Disney Institute, Master Matys traveled to Orlando, Florida with Master Scott to assist in the instruction of the self-defense program to the Disney Institute employees. Master Matys holds an Associates Degree in Electronics and has enjoyed impressive competitive success in other sports. He swam competitively for over fourteen years and also spent five years BMX racing under a support sponsorship with Redline. While racing, he captured over 300 trophies and was ranked #2 in Pennsylvania and also held a national ranking.